Dinosaurs are always a hit with young children. The fascinating history of how they lived and the mystery of how they died out make for a topic that will have everyone gripped. 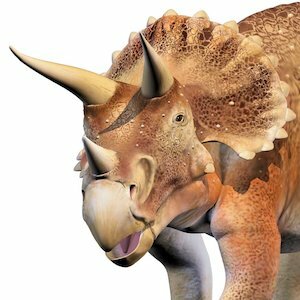 In this bone-trembling creative project, we focus on the triceratops and show you how to make a terrific mask. The other activities will inspire your children to find out about the habits of this amazing dinosaur.